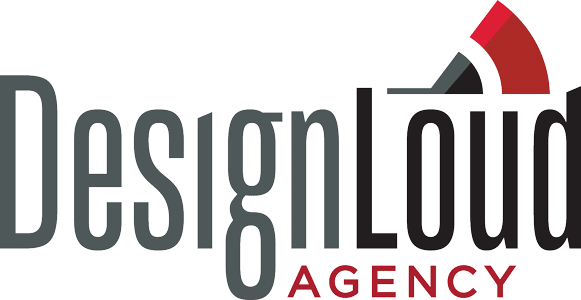 DO YOU NEED A ROCKSTAR AGENCY? Then You Came To The Right Place, We Like To Make Noise! DesignLoud is your growth partner, we help you achieve your desired goals by attracting, engaging and converting more leads. Our reporting software allows us to easily identify the key factors that affect the ranking of your website and online web presence. Having consistent directory listings on all major listing providers make it easier for your customers to find you. We identify long tail and broad match keywords that have a high search volume and minimal cost per click so you get the most return. Drip new content and products to users to keep them engaged based on the segments of their interests. Web Design is not so much just about the design, but understanding how your users will interact with the new website. Intimately connect with your customers directly in their favorite social accounts. We handle the management & marketing for you. A Process So Solid, You're Guaranteed Results! It is important to know who your audience is, what are their interest groups, demographics and what problems are they searching for that you can solve. We subscribe to market research that allows our team to gain deep insights on the habits of your potential customers. Everything from layout to color palette to placement of call to actions all have a significant effect to whether someone engages with your brand. But once you have all this information, how do you reach them? What websites or social media platforms are they using? What are they reading online that is relevant to the challenges they face in their business? By understanding your target market, we can provide you with a website and marketing strategy that captures the right people, at the right time. By using the data we collect in our discovery session, we build a funnel that pre-qualifies your traffic before they engage with your brand so that we can maximize your marketing dollars and deliver you more qualified conversions. First, we want to establish brand awareness by providing your target audience with information they find relevant to the answers they are seeking. Once someone has engaged with your brand and are aware of who you are, we build trust by showing them that you are not just “a choice” but “the choice” in your field. Now that they have engaged with your brand on more than one occasion and trust you as a thought leader they are entered at the top of your sales funnel. Through targeted messages and advertising we can target these users with specific marketing materials that bring them back for a conversion. To build your community, you need to continue to provide value to your customers. Actively engaging with your audience through your different media channels enables you to build confidence in your customer which establishes brand loyalty. What reasons do you provide your customers to come back and purchase from you again? Do you continuously provide value and show relevance to your customers or solicit feedback about their experience? These are just some examples of how your business can establish brand loyalty and grow your community. You Don't Need Meaningless Reports, You Need Measurable Results! Always very helpful and quick. We always need things turned over last minute and Derek makes it happen! Design Loud is professional, timely, supportive and knowledgeable. Grateful to have them on our Team! Great group, Derek and his team are the best. Always good service and know what they are doing when it comes to the internet and websites. Quick response & great service. The high amount of clients, in the short time of the time you been open, shows how much of a perfectionist you and your staff is. Congratulations to your work of excellence and your high quality of service! Keep up your great standards! Derek does amazing work! I’ve used him for business purposes and he was professional and listened to the needs our business was was looking for! This group is fantastic! We couldn’t be any happier with our logo. Thanks so much to the entire DesignLoud team! So What's Keeping You From Joining The Hall of Fame?